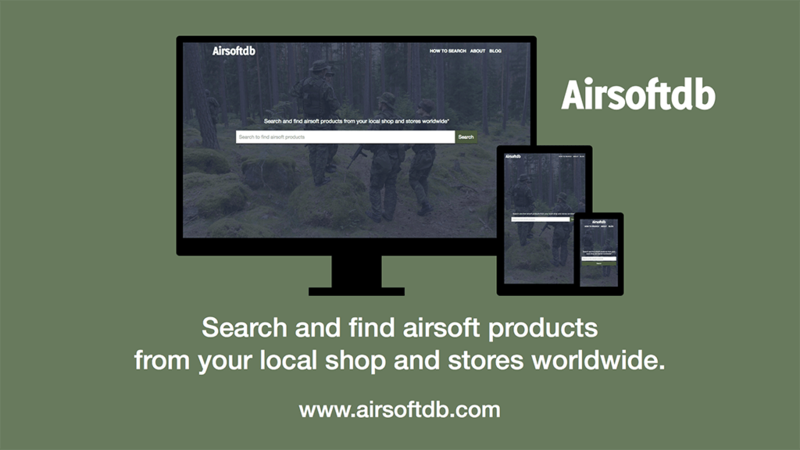 The new website Airsoftdb (Airsoftdb.com) is a search engine to find airsoft products from your local shop and stores worldwide. The system automatically detects your location and tailors its search results to show products from shops which are most local to you, by country (or by state if in the U.S.). The website is in early beta preview version and new shops and functions (and improvements) are added continuously. 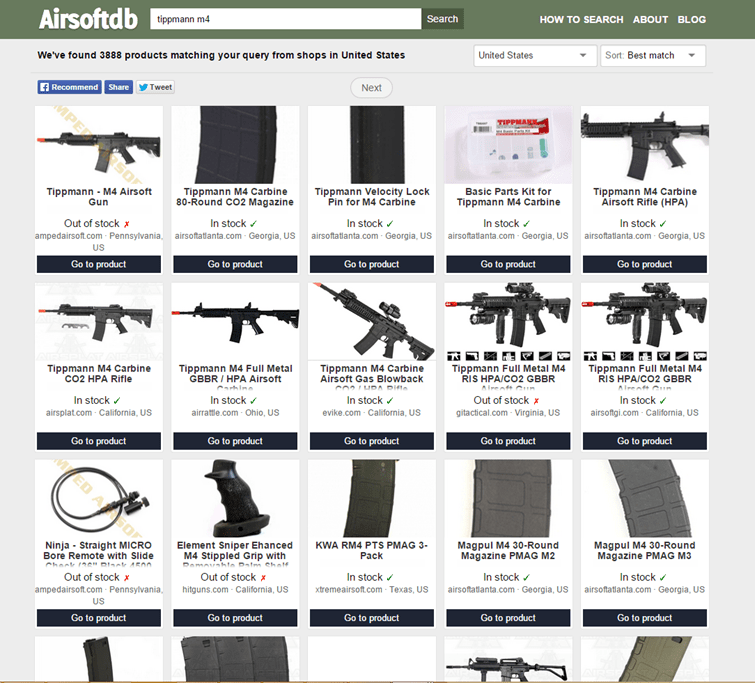 We think it’s better to let airsofters try the services the website provides during development than release it later with more functionality since we think it will help a lot of airsofters to find airsoft related products with the current functionality. 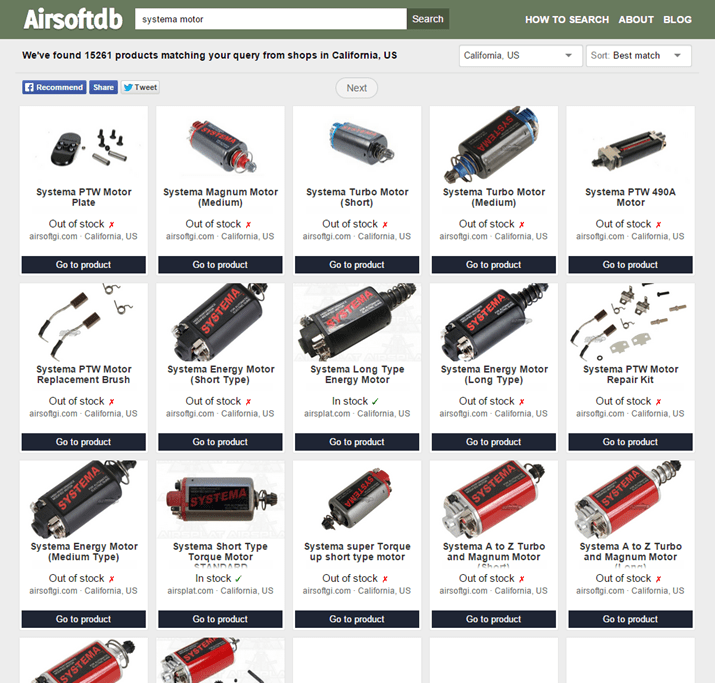 The website is a hobby project by people mainly from the Swedish airsoft website Airsoft.nu. We are working on this during our spare time. 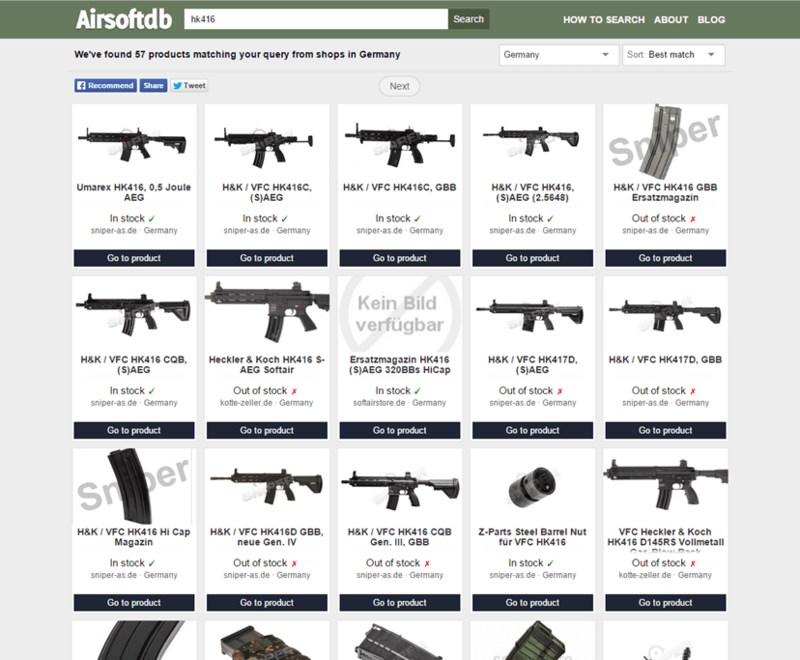 We hope that the global airsoft community and the airsoft industry like this website and its services.